Plenty of research shows pets -- especially dogs -- bring psychological benefits to patients with a range of health conditions. 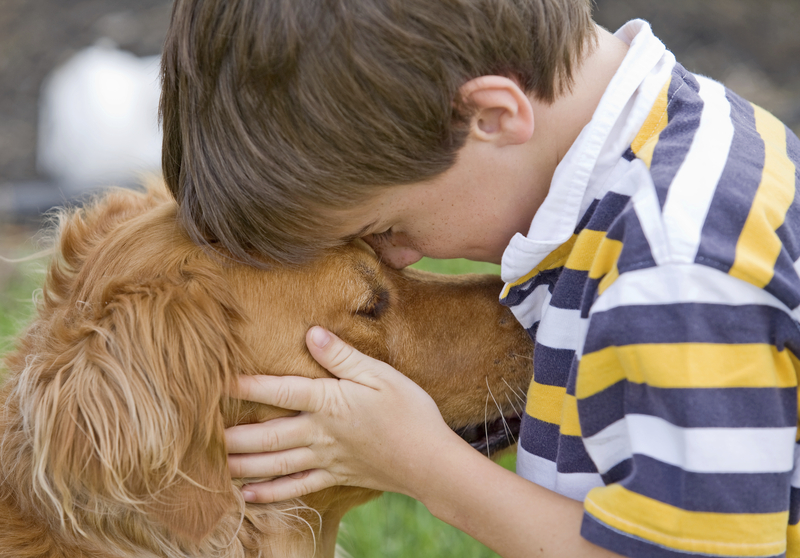 And increasingly, experts are observing the unique impact pets have on children with autism. New research finds autistic children who have a pets at home have much more advanced social skills and are more assertive and communicative than autistic children who do not have an animal companion. "The skill of assertion is that ability to introduce oneself, to be able to ask to join an activity, to be able to ask a question, those are things that many children with autism struggle with," Gretchen Carlisle, research fellow at the Research Center for Human-Animal Interaction at the Missouri University College of Veterinary Medicine and lead author of the study, said in a press statement. For the study, published in the Journal of Autism and Developmental Disorders, Carlisle and her team surveyed 70 families with autistic kids between the ages of 8 and 18. All of the children were patients at the MU Thompson Center for Autism and Neurodevelopmental Disorders. Nearly 70 percent of the families that participated in the study were dog owners, while the remaining families had a variety of pets including fish, farm animals, rabbits and reptiles. One family had a bird and another kept a spider in their home. "The data revealed that children with any kind of pet in the home reported being more likely to engage in behaviors such as introducing themselves, asking for information or responding to other people's questions," said Carlisle. "These kinds of social skills typically are difficult for kids with autism, but this study showed children's assertiveness was greater if they lived with a pet." The researchers say pets serve as a catalyst that provides an opportunity for an autistic child to interact with other people and not even realize it. "Dogs are considered a social lubricant," said Carlisle. "They tend to increase conversation, that's actually among adults as well as children." In recent years, animal therapy has become more widely popular and used for patients of all ages with a range of health conditions including epilepsy, cancer, survivors of heart attack and stroke, as well as psychiatric conditions such as post-traumatic stress disorder and anxiety. Dog often receive all the credit when it comes to the therapeutic benefits of pet ownership but Carlisle says dog ownership may not be right for every family because they require a great deal of patience, time, care and may overwhelm some autistic children with their boundless energy. Thankfully, she found cats, rabbits and other animals can also have a lasting impact on autistic children. Other clinical research indicates that a broad range of patients can benefit from interaction with less conventional animals as well. A children's hospital in Portland, Ore. employs a llama and alpaca to keep spirits high. Other examples of more unique therapy animals include miniature horses, elephants -- used in Thailand to also help some children with autism -- as well as monkeys and even animals that also have disabilities.